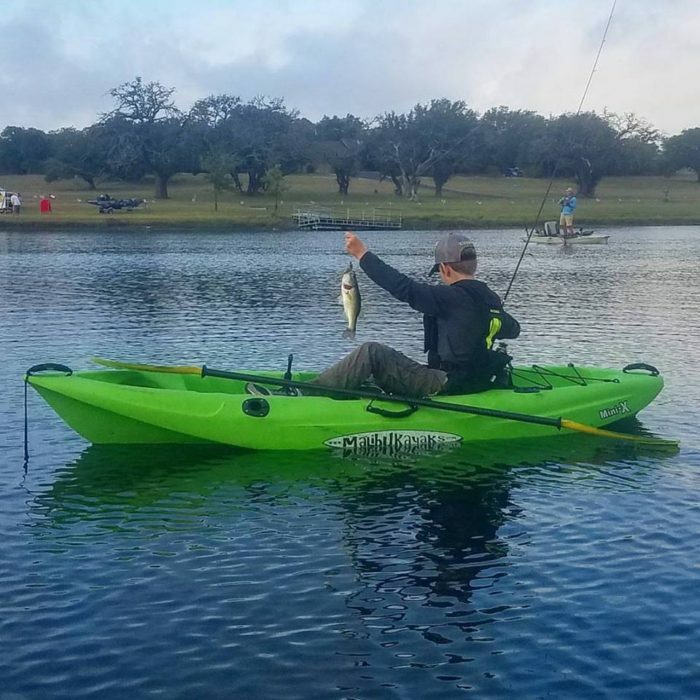 Kayak fishing can be daunting for beginners. Some of these anglers have been bank stomping their entire lives while others are downsizing from power boats. 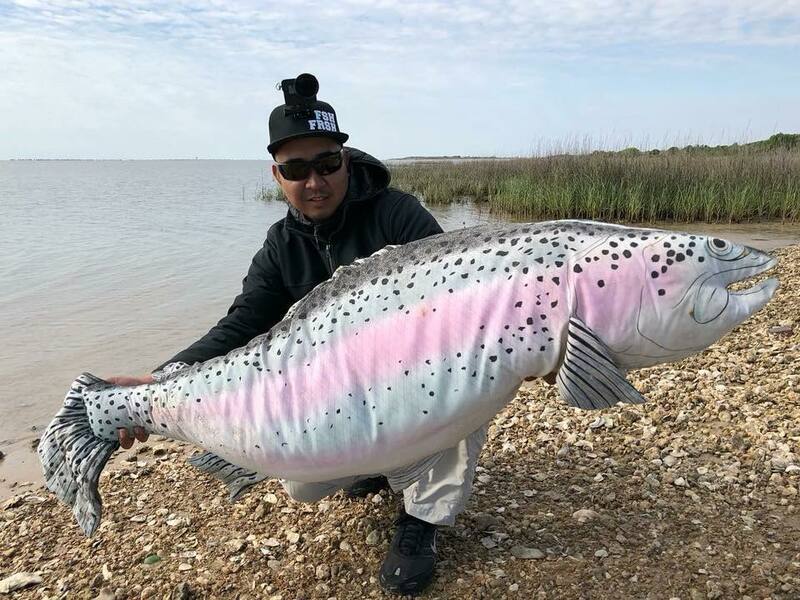 Floating on a piece of plastic and chasing fish of varying sizes, some bigger than your vessel is a great end goal but before you get there, you should work through some things that every angler will face. These 13 tips for kayak fishing beginners should help you with the learning curve. 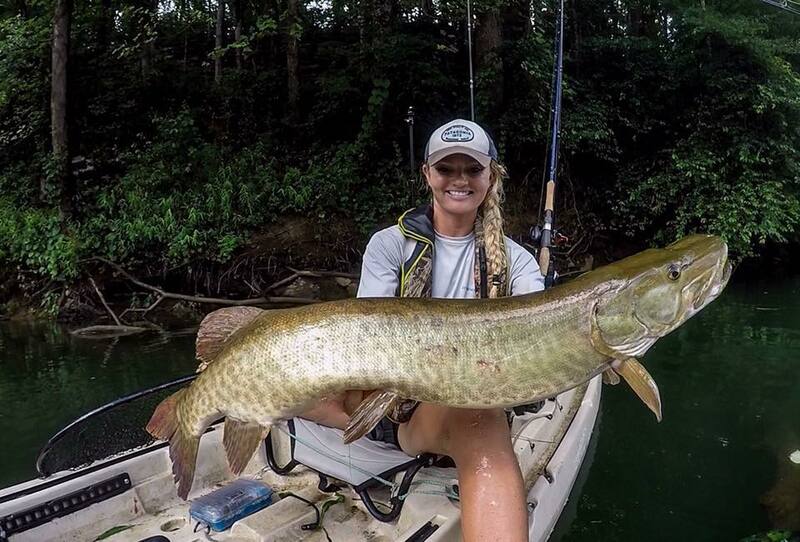 Follow Kristine Fischer, a great kayak fishing ambassador, on Instagram at midwestfischergal. Sometimes staying on a spot is very important and nature will try to push you off of it. Whether current, wind, or powerboat wakes, learning to maneuver your kayak well will add time fishing and reduce frustration. A proper paddle stroke will actually propel you at the same speed or faster than the “digger” who goes all out. Make sure to look up a local ACA paddling course. It will be money well spent if you bought a paddle craft. For those who are in electric or pedal powered kayaks, learning to properly position your kayak to face oncoming wakes, anchoring safely, and maneuvering skills when in tight places will be a great benefit. Some of us are social; some are not. A nod and a wave will usually suffice. If someone has time and/or wants to chat, they’ll give you an opener. If you don’t have time or don’t want to chat at that moment, be courteous, answer the opener and let them know you are heading up stream. It takes some practice but it is well worth it to let people know you’re not a tool. You’ll see this behavior in a lot of groups. A popular one is the low hand wave motorcyclists give in passing on the highway. Getting on the water by yourself can be scary, especially for a newbie. I almost always have a great experience when sharing time on the water. If you talk about kayak fishing as much as I do, you might know who would be interested in going. If not, joining a local Facebook group for kayak anglers could be helpful. This is a great way to discover new techniques, be safe, and share a common interest with other people who share your passion. Most of the time the person fishing where you were wanting to fish isn’t doing it because they are vindictive spot stealers. Most of the time they paddle or motor by, think a spot looks fishy and decide to throw some bait at it. While this spot may be a great spot, the lakes are full of fish. Losing your cool isn’t going to put fish in the boat. Mark the spot and come back later. Will your world change if you can’t fish that spot right now? No, it won’t. Yet, a lot of people act like it will. I’ve been guilty of the grousing that comes with finding someone already located where you want to fish. It’s disappointing. Is it worth a life? No. Most folks won’t evaluate it that way. What’s a little yelling? Maybe a little pushing? The fact of the matter is, you don’t know what the other guy will do. You don’t know what you will do if the adrenaline gets going. Don’t let it get up. Be a bigger man and understand: IT’S JUST FISHING. No one should have to pay fines, go to jail, get seriously hurt or die because you WANT to fish a spot. It won’t always be the other guy who gets in trouble. We have to be more like adults and less like schoolyard kids. Hit the pause button and think about what you are upset about. Believe me when I say there is such a thing as Kayak Karma. She is angry and vengeful. 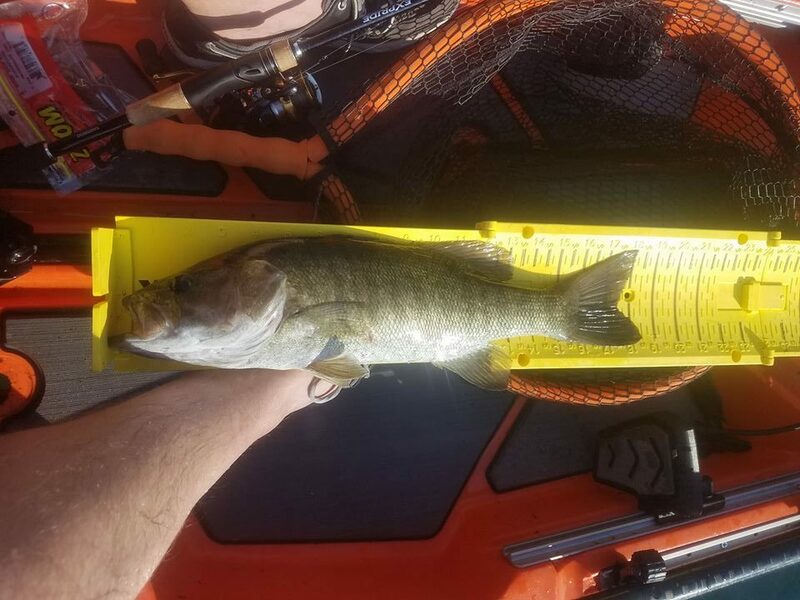 If you push people away from kayak fishing, she will get you. If you chew somebody’s tail for no good reason, she will get you. Be nice out there because Kayak Karma is not only vengeful but she is the sister of the Fishing Gods and she WILL tell on you. Kayak Karma hates an internet troll. Don’t be that guy. Yep, it’s a small kayak but it’ll catch fish! Show some excitement when someone tells you about the new kayak they bought. They’ve wanted to kayak fish and now they can. Be happy for them. Don’t tell them their investment is a piece of trash or too hard to paddle. We all start somewhere and not in the same place. Tell them “Welcome to the Addiction” or something along those lines. Really the only time to speak up against something is if safety is going to be an issue. If a Defensive Lineman from the University of Alabama gets on an eight-foot long kayak with a 145-pound weight limit, speak up. If they do not have the required by law equipment, speak up to save them a ticket and maybe a life. Other than safety, be supportive. First and foremost, wear your PFD. That’s not an electronic document, it’s your life jacket. It will save your life. Additionally, make sure you are always obeying state water safety laws but above and beyond that, don’t be stupid. Don’t try to race across an inlet with a power boat headed at you on plane. Be careful with wakes around bridge pilings. Have the proper lights and maybe even more than required if fishing at night. Always tell someone where you are going and when you plan to return. There are many more but the bottom line is, Be Safe. If someone looks like they are struggling with loading or unloading, if someone drops some gear on the way to launch or if someone is looking puzzled while staring at their kayak, ask if you can help. It’s pretty easy, most of the time they really appreciate the question, even if they decline help. I have had many a trip made easier by someone helping me put my kayak in my truck bed or help me to cartop a heavy kayak. Rex from http://livelivegear.com knows how to have a good time! This is supposed to be a fun sport. Don’t try to over think it. If you struggle, ask for help. If you find yourself not having fun, talk to someone about it. Take in the nature around you. Listen to the sounds that are so rarely heard in a power boat. Watch how close fish and birds will get to you. Take pictures! This is the best sport in the world. Make sure you enjoy it! If you are using a boat ramp to launch your kayak, have everything ready before you back down the ramp. And turn your lights off. Nobody likes a boat ramp camper taking 20 minutes to unload all their stuff and rigging up their kayak. (This also applies to other watercraft). Have a plan, have it together, get it off the truck or trailer and move it off the ramp so others can use the ramp to enjoy their day. When you are fishing, unless you have been invited to come closer, stay at a good distance. Nobody likes a potlicking vulture. If you ask to come closer or leap frog to a spot up the bank be prepared to hear “No” and be okay with it. 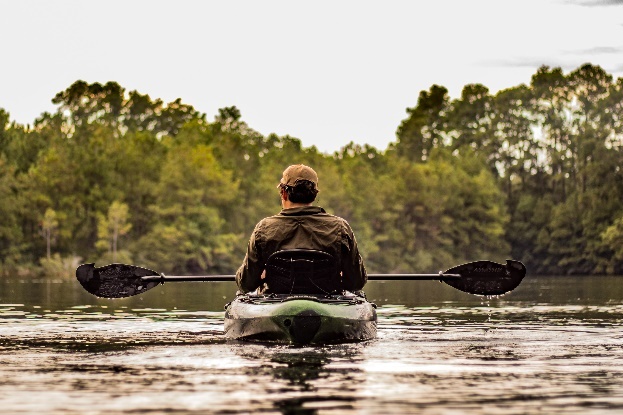 If a boat or kayak is moving in a direction, working behind them is ok but if you move past them in the direction they were moving toward and aren’t a few hundred yards past, be prepared to answer a few questions or expected to respond to your actions. It shouldn’t be a huge deal in most instances but it’s rudeness as its highest form here. You might as well take a bite of your buddy’s steak before he gets to. There will be words. 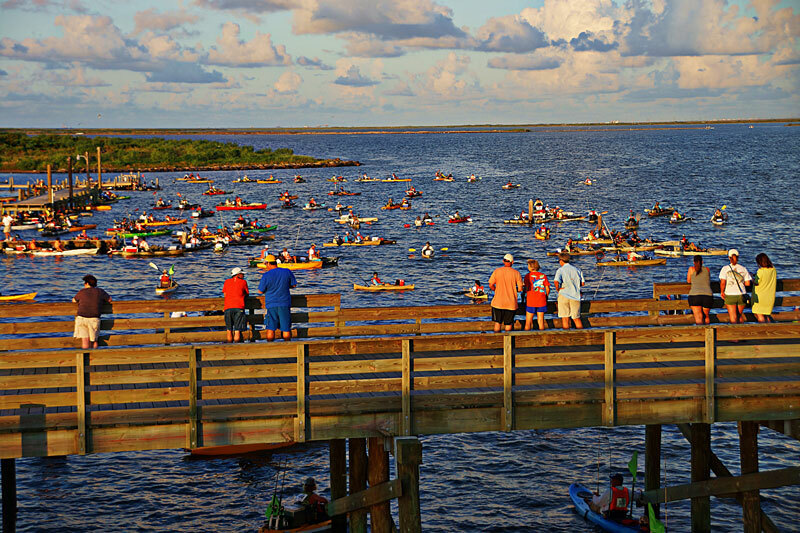 Tournaments are COMPLETELY different in a kayak. If you’ve ever fished a tournament, you know about the adrenaline factor, nerves, all the posturing that goes on but in kayak fishing, tournaments are a completely different animal. The ballet that is measuring, photographing, uploading, scoring, and releasing a fish takes practice. Start with an online casual tournament. Maybe a month-long one at first to really get the feel for the Catch Photo Release format of tournaments. It’s more difficult than you might think. I just started kayak fishing and live in Greenwood SC. Looking to join a club and maybe fish some tourneys. Know of any clubs in Greenwood area? Check out Carolina Kayak Anglers. Hit up Corey Dreyer.